The goddess ISIS is one of popular Goddess from the ancient Egyptian Gods/Goddesses, the family of RA. 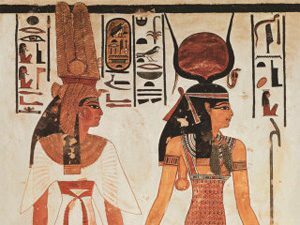 Also known as the queen of the Nile, and the Goddess of love, abundance, ferterity, joy, and magick, she has been worshiped by many people for a long time. I, Maki Otani, was born with the channeling contract with this Goddess Isis and have lived my life with her energy and guidance. I serve as High Priestess of ISIS and work with her power, too. In this session, I channel the Goddess ISIS and she will talk to you and give you some guidance you need at that moment of your lifetime. She will also give you deep healing and releaseing blockages with her amazing power of ‘death and rebirth’.